Empire of Books: Undone cover reveal! Car Clarke, author of the incredible Entangled and Torn is gearing up for the release of her third book through publisher Quercus, Undone and with a new book comes a new cover!! And boy is this cover a beauty! A far cr from the close up face shots for her previous books, this cover is simply stunning! Really cannot wait to read it! Roll on January 2013!!! Jem Halliday is in love with her gay best friend.Not exactly ideal, but she's learning to live with it.Then the unspeakable happens.Kai is outed online...and he kills himself. 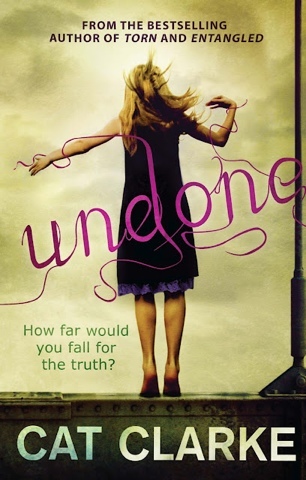 A searing story of love, revenge and betrayalfrom a bestselling author,UNDONE will take your breath away.